Aspen Grove Cemetery Association members and visitors to the cemetery are reminded that the grounds are sacredly devoted to the interment and repose of the dead and that a strict observance of all that is proper in such a place will be required. Because of this and under the authority of Article III, Section 13-Cemetery Grounds, Rules and Regulations in the revised Cemetery Bylaws dated 12-1-05 the following rules are adopted. All orderly persons, either in vehicles or on foot, are welcome to visit the grounds while the gates are open. Walking on the grounds is permitted until sundown. All persons are forbidden to pick or remove flowers or plants, except from their own lots. Possession of alcoholic beverages, possession of illegal drugs and possession of firearms is not allowed on the grounds. Picnics or similar social events are not allowed on the grounds. Domestic animals are not allowed within the grounds. Motorcycles, mopeds, semi tractors and noisy vehicles are prohibited in cemetery. Vehicles, including bicycles, must be kept off the grass. No driving or riding will be allowed on lots or upon the lawns or walks. The scattering of cremated remains or ashes of a dead human body or fetus is prohibited anywhere upon the grounds of Aspen Grove Cemetery Association. Fencing, railing, hedges, coping or other enclosures around lots or graves, wooden trellises and head boards of every description are forbidden. No iron or wire work is allowed except by permission of the Board of Trustees. The cemetery reserves the right, without notice, to prohibit or remove from lots or graves, chairs, settees, glass cases, artificial flowers, grave covers, toys, unfilled vases, arches or any other articles not given prior approval by the General Manager. The General Manager will have charge of the planting of trees and shrubs. Double burials in the same grave are available in the Cemetery upon approval. Peddling of flowers or plants on the Cemetery ground is prohibited. 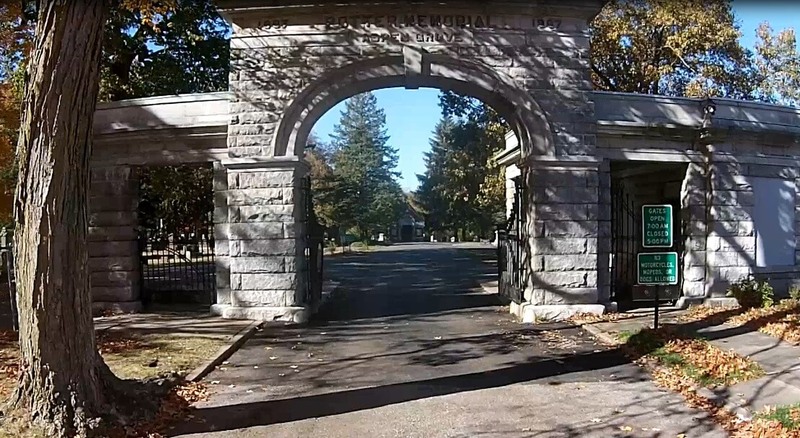 lots by other than cemetery employees is permitted. Nothing in these rules shall be construed to prohibit lot owners, by themselves or persons employed by them, from performing any work upon their lots, except permanent improvements. But all work done shall be subject to approval by the Board of Trustees and supervision by the General Manager. Each headstone is allowed three (3) decorative items. The General Manager is to remove, after Memorial Day, any in excess of this number beginning with items of every kind and character which have ceased to be ornamental or in good repair. No glass, wire or tin cans are to be used as containers for flowers. Also, artificial flowers may not be stuck in or planted in the ground, including damageable containers. Any such items will be removed. Only real flowers will be allowed in the new Ash Burial Area behind the office. No one is to be in the fountain for any reason. Casual play around the Ash Burial Area is not permitted. Single hook Shepherd staffs only. One per headstone is permitted April through September. No winter placement. Cemetery Spring Clean Up is March 1st through March 31st. All graves must be cleared off before March 1st. Cemetery Fall Clean Up is October 1st through October 31st. All graves must be cleared off before October 1st. Aspen Grove Cemetery is not responsible for theft or damage to anything placed on graves or lots. Aspen Grove Cemetery is, also, not responsible for vandalism to grave markers, headstones, vaults or mausoleums. Aspen Grove Cemetery now allows third party excavation for headstone foundations. Rules and regulations controlling this have been published and are hereby incorporated in this current list of Cemetery rules. The Cemetery office will furnish copies upon request to any party seeking to qualify. It is policy and a rule of Aspen Grove Cemetery to be in compliance with the applicable Iowa Code for Cemeteries.